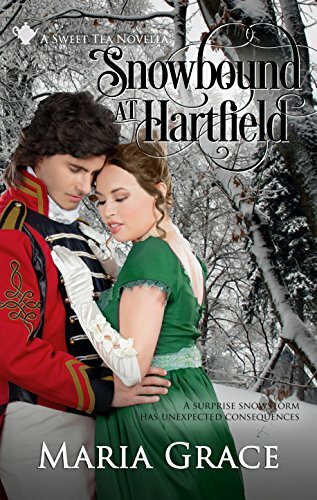 For Darcy and Elizabeth, overcoming the odds has never been more challengingFor Fitzwilliam Darcy, choosing between his heart and what he thinks is his duty is no easy task. However, when a gentleman has a cousin such as Darcy does, sorting out whating out what is best becomes far easier. If only that cousin had not tried to improve Miss Elizabeth's opinion of Darcy! 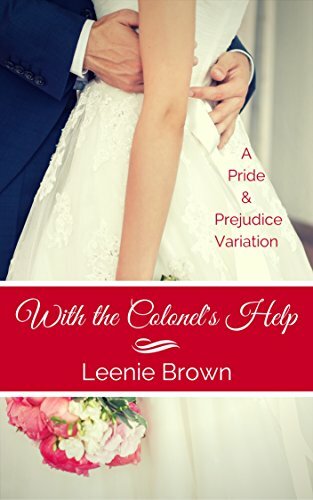 With the Colonel's Help is just one of Leenie Brown's numerous Pride and Prejudice inspired stories. If you like well-written, sweet romance where family ties are strong, understanding runs deep, and love rises above any obstacle, then you will love this story about capturing and restoring a love that was almost lost. So, put the kettle on, grab your copy of With the Colonel's Help, and slip into a world of sweet romantic indulgence today. They say distance makes the heart grow fonder…As a soldier, Richard Fitzwilliam takes orders. He obeys without question until commands to give up the love of his life and fire on his countrymen throws him into turmoil. Not so long ago, losing love crlong ago, losing love crushed Lady Belinda Crenshaw’s heart. 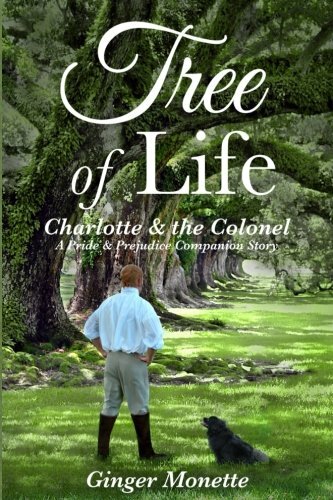 Unexpectedly, she found a second chance with Colonel Fitzwilliam. Now, an old family nemesis has triggered a plot which will separate them forever. *Please note: this is a sequel to Sufficient Encouragement. Reading Renewed Hope is optional but the basis of Sufficient Encouragement will allow for the most enjoyment of this book. *Note: This is novella is 21,000 words long and 200 pages in print. Colonel Edmund Fitzwilliam, second son of the Earl of Andover, has pursued accomplishment his whole life. His first real opportunity to achieve the recognition he desires unfortunately comes just as he meets the woman who captures his heart, Miss Emiss Emily Chelwood. Separated by months of danger and distance, even his safe return does not reward them with the happiness they deserve; peril, death, and intrigue follow him home, throwing their future into the winds of chance. Aided by his friend, the adventurer Lord Estéban de Esparza, and his relations Mr. and Mrs. Fitzwilliam Darcy, the Colonel must overcome a French spy, a London blackguard, and his own powerful sense of duty, as he struggles with the forces of love and war in his attempt to secure happiness for himself and his beloved. Without the beauty and wit of the older Bennet sisters or the liveliness of the younger, Mary is the Bennet sister most often overlooked. She has resigned herself to a life of loneliness, alleviated only by music and the occasional book of military history. 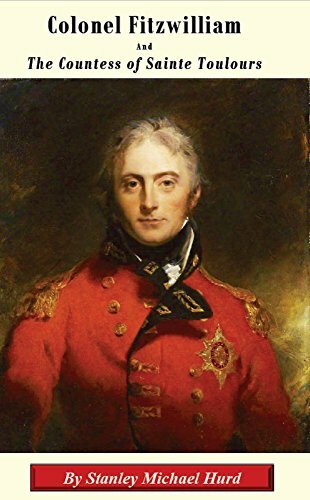 Colonel Fitzwilliam finds himself envying his friends who are marrying wonderful women while he only attracts empty-headed flirts. He longs for a caring, well-informed woman who will see the man beneath the uniform. A chance meeting in Longbourn’s garden during Darcy and Elizabeth’s wedding breakfast kindles an attraction between Mary and the Colonel. However, the Colonel cannot act on these feelings since he must wed an heiress. He returns to war, although Mary finds she cannot easily forget him. 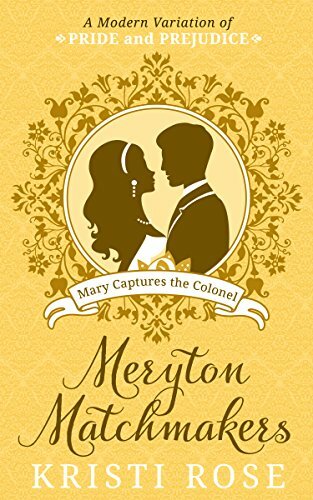 Is happily ever after possible after Mary meets the Colonel? Darcy's attachment wasn't the only one smouldering beneath the surface that Easter at Hunsford...On the verge of proposing to his cousin Anne, the gritty Colonel Fitzwilliam discovers his beloved childhood friend Charlotte living less than half a mil living less than half a mile away, married to the odious Mr. Collins. Suddenly finding himself responsible for Rosings estate, he is forced to wrestle with his affection for Charlotte while struggling to learn lessons of trust and forgiveness--lessons which have far reaching implications for family and friends. In this compelling companion to Pride & Prejudice, follow the forging of a man's character through waiting, war, a woman, and three simple words. "Every chapter gets better." "...brilliant story." "Beautifully written." ~Suitable for older teens and adults due to innuendo and mild language befitting a soldier. Romance is clean. *One of the story's predominant themes is Christian. *Watch video trailer on my Amazon author page. Elizabeth Darcy, Mistress of Pemberley is in possession of a terrible secret - a night of mistaken identity has put everything she holds dear in jeopardy. How will she ever be able to tell her husband about what happened? Colonel Fitzwilliam's continued presence at Pemberley makes her secret even harder to bear, but it is the revelation of the truth behind that fateful night that will carry more scandal than Elizabeth could ever have imagined. A Question of Duty is a sensual and steamy Pride and Prejudice variation that is best enjoyed by readers over the age of 18. He was given a special assignment. He didn't count on falling for her.Colonel Richard Fitzwilliam, a hopeful romantic, cannot afford to marry for love. When he is offered a new assignment with the promise of a promotion, he eagerly accepts-- only to accepts-- only to find himself immersed in a world of intrigue and lies. Adélaïde Mauvier is a successful dressmaker on the verge of attaining everything she thought she wanted. When she is thrown into Colonel Fitzwilliam's company, she begins to think there might be more to life than her ambitions. As the colonel gets closer to the truth, he finds out that people are not always what you believe them to be. Will he fall in love while catching a traitor? Or worse ... will he fall in love with a spy? 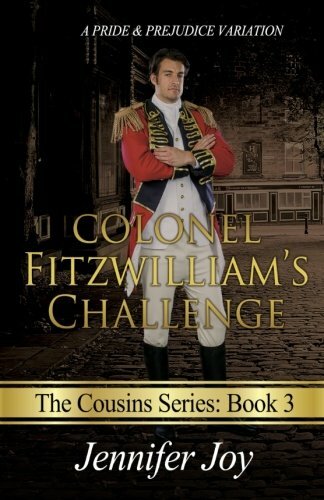 Colonel Fitzwilliam's Challenge is the third book in The Cousins Series trilogy. If you like falling in love with your favorite heroes and heroines as they fall for each other, then you'll love this sweet romance based on Jane Austen's timeless classic, Pride and Prejudice. 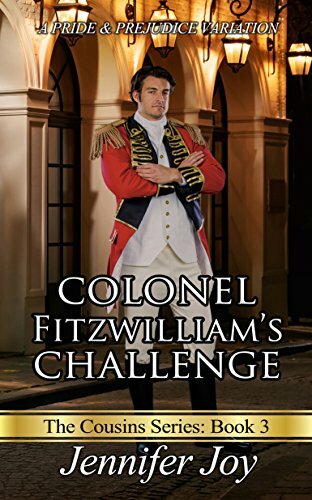 Read Colonel Fitzwilliam's Challenge to satisfy your craving for a clean, sweet Regency romance with a page-turning mystery today! *This cover was updated October, 2017. The contents are unchanged. 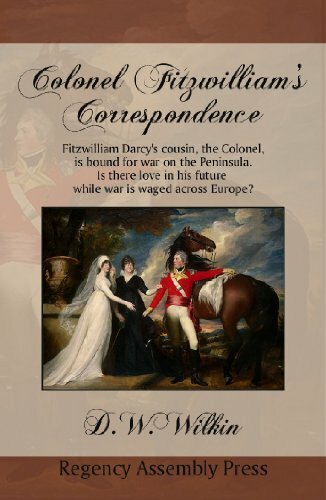 Fitzwilliam Darcy's cousin, the Colonel is bound for war on the Peninsula. Is there love in his future while war is waged across Europe? Witnessing his cousin marry for love and not money, as he felt destined to do, Colonel Fitzwilliam refused to refused to himself to be jealous. He did not expect his acquaintance with the Bennet Clan to change that. Catherine Bennet, often called Kitty, had not given a great deal of thought to how her life might change with her sisters Elizabeth and Jane becoming wed to rich and connected men. Certainly meeting Darcy's handsome cousin, a Colonel, did not affect her. But one had to admit that the connections of the Bingleys and Darcys were quite advantageous. All sorts of men desired introductions now that she had such wealthy new brothers. Kitty knew that Lydia may have thought herself fortunate when she had married Wickham, the first Bennet daughter to wed. Kitty, though, knew that true fortune had come to her. She just wasn't sure how best to apply herself. *Please note that Regency Assembly Press sells ebooks in 3 formats. A Taste are the first few chapters of the book, Last Bites, are the remaining chapters after those. Then RAP also sells the entire book as Complete. Books from Regency Assembly Press are also often available in Trade Paperback. A sweet romance inspired by Jane Austen’s Pride & Prejudice. 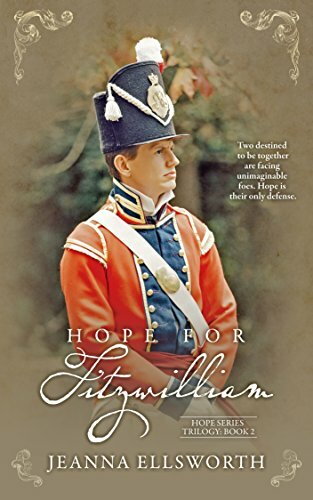 Colonel Richard Fitzwilliam is a hopeful romantic who cannot afford to marry for love. When he is offered a new assignment with the promise of a promotion, he eagerly accepts— only to find himself immersed in a world of intrigue and lies. Adélaïde Mauvier is a successful dressmaker on the verge of attaining everything she thought she wanted. When she is thrown into Colonel Fitzwilliam’s company, she begins to think there might be more to life than her ambitions. As the colonel gets closer to the truth, he finds out that people are not always what you believe them to be. Will he fall in love while catching a traitor? Or worse… will he fall in love with a spy? A Jane Austen-inspired sweet Regency romance. Her faith in mankind. Why would a man (Darcy) propose to a woman(her) while saying he thinks its a bad idea? And what about how he treated Geo Wickham? Who will Elizabeth's match next? Following a head injury, Colonel Henry Fitzwilliam is being forced from the military. 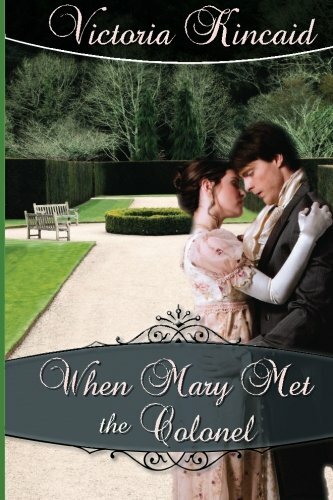 Angry, Henry finds laughter and comfort with Mary Bennet. Hiding behind a know-it-all persona, Mary's surprised Henry sees through it, no one ever has. Though, no matter how finely sculpted and sweet talking Henry is, she's not about to let him play her. Elizabeth knows Mary and Henry are a perfect match. With some gentle guiding, she finagles opportunities to force them together, it’s up to them to accept or push away what’s before them. Meryton Matchmakers is a continuing series. Each book offers a happily ever after but Darcy and Elizabeth's story wraps up in the final installment. Heads up, Elizabeth and Darcy cliff hanger in this book (but you still get your HEA with another couple). It is well known that in the story of ‘Pride and Prejudice’ Colonel Fitzwilliam admired Elizabeth Bennet when he met her at Rosings Park. However, his relative poverty prevented him from doing anything to advance their acquaintance into anything more than a casual friendship, and instead it was his cousin, Mr Darcy, who proposed that Easter time. But what if Colonel Fitzwilliam had proposed to Elizabeth Bennet first, before his cousin got the opportunity? And what if she had accepted him, short as their acquaintance had been? 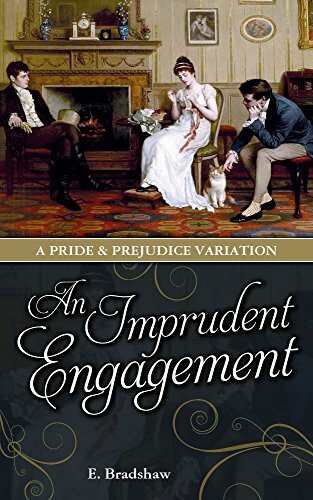 ‘An Imprudent Engagement’ tells the story of this ‘what if’ scenario; of what could have happened if Colonel Fitzwilliam had thrown caution to the wind, and declared his admiration to Elizabeth. As a consequence, Mr Darcy is obliged to remain silent about his own feelings, and instead is forced to face the unwelcome truth that the woman he loves actually thinks very poorly of him. Despite Elizabeth’s unthinking acceptance of Colonel Fitzwilliam’s suit, it is not long before she is overcome with doubts over her choice. Although the match is a good one when viewed from every possible light, Elizabeth is still weighed down by her reservations. She knows she does not love the Colonel, and above all else, she wants to marry for love. And just as quickly, the newly-engaged couple is beset by opposition from the Colonel’s family. 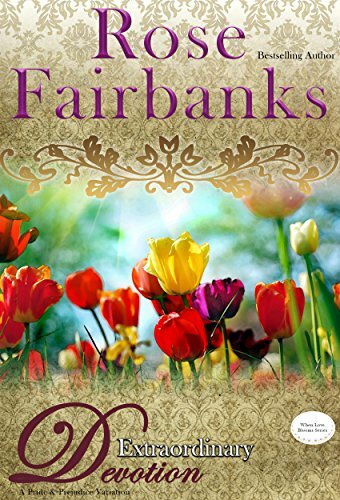 Strangely, it is Mr Darcy, and not her fiancé, who comes to Elizabeth’s defense time and time again – and over the following months, she is forced to recognize that she has woefully misjudged his character. All too late, Elizabeth finally understands all the mistakes that she has made – just as she finally understands her true desires. But after giving her promise to marry the Colonel, how can she possibly break his heart and admit how she feels about his cousin? E. Bradshaw is a British writer, based in Derbyshire, England. Therefore, this book is written with English spellings. This book is a long read, of a length of approximately 192,000 words.